If you have read any of my posts, you will know how much I love movies. There are only a few things I love more than movies. I always get excited when a new movie comes out that I want to see. I am not big in to scary movies or super hero movies so it’s a real treat. Most movies are scary which I refuse to watch. They give me nightmares for weeks. I am not sure why that is. When I saw the preview for Gifted, I knew I wanted to see it. 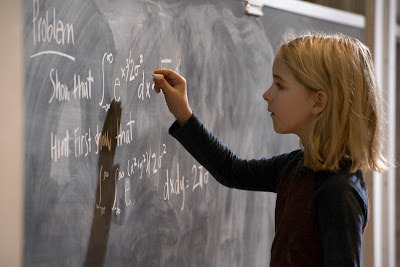 It’s about a little girl who is a child prodigy who goes and lives with her uncle. Noah is considered gifted. He has been in advanced classes since 2nd grade. It looks really interesting. I received some promotional items from Gifted. One of the items is a little stuffed cat with one eye, of course Noah wanted it, he loves cats. I gave it to him and he asked me if he could see the movie. I explained that is rated PG-13, maybe when he’s older. I love taking a break and going to the movies by myself. It’s fun because it’s me time. It doesn’t bother me that I am by myself, more popcorn for me. Although I have a problem with popcorn, I always eat too much. I always swear next time I won’t do it, but every time. I don’t go to the movies a lot. I can’t even remember the last movie I saw. 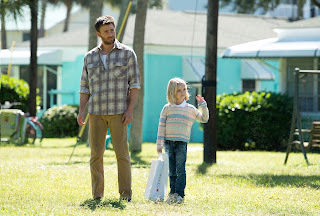 I am so excited to see Gifted. I love when there’s a new actor in a movie because you can look back and see how much they have grown professionally. It comes out in theaters Friday April 7. I am hoping I can see it next weekend while I have some mom time. I will definitely report back, no spoilers of course, cause that’s just mean.